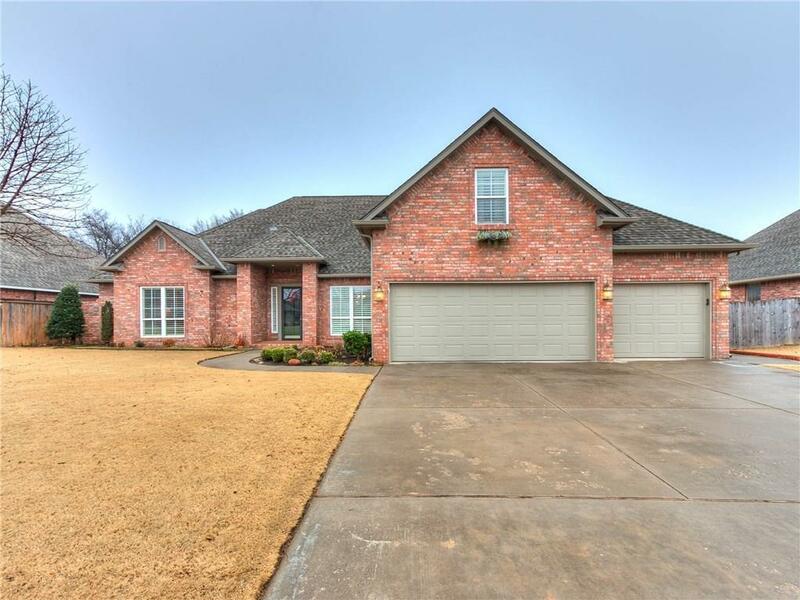 This beautiful home that was custom built by Jim Bowers features 2 living areas, each with a fireplace, an upgraded kitchen with a new double oven just installed, Plantation shutters, Sprinkler system down to the creek, outdoor Trex deck, Wrought Iron fences, Crown molding in most rooms. Large bed rooms, each with it's own bathroom. The large office has a separate outside private entrance. A creek flows through the back section of the the very big, beautiful yard. There is plenty of room inside and out.